As event and floral designers, we find that many trends in home decor and fashion tend to find their way into weddings trends as well. 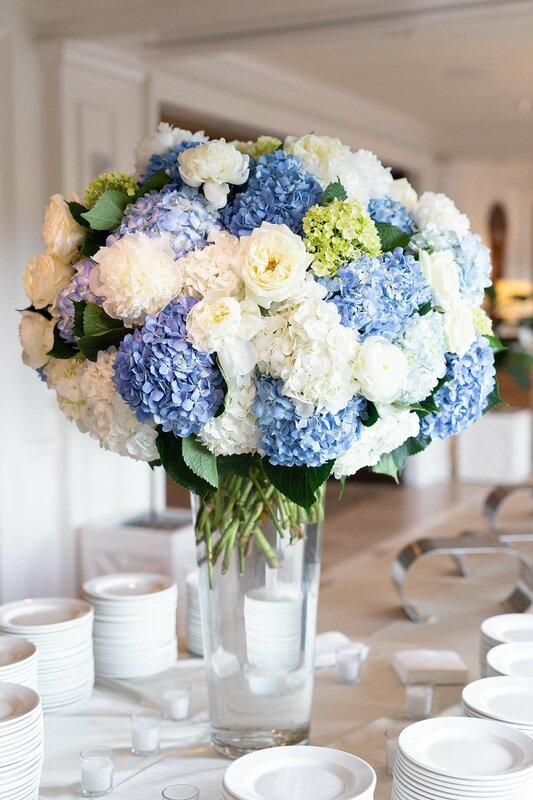 And blue and white is definitely having a MAJOR moment across the board. 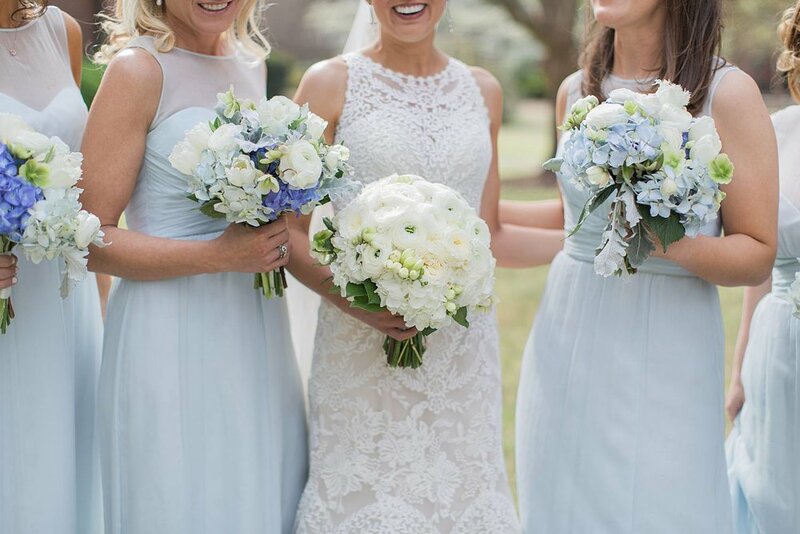 Just look at the last print issue of Martha Stewart Weddings, the cover features a bride in a gorgeous blue and white custom hand-painted wedding dress! 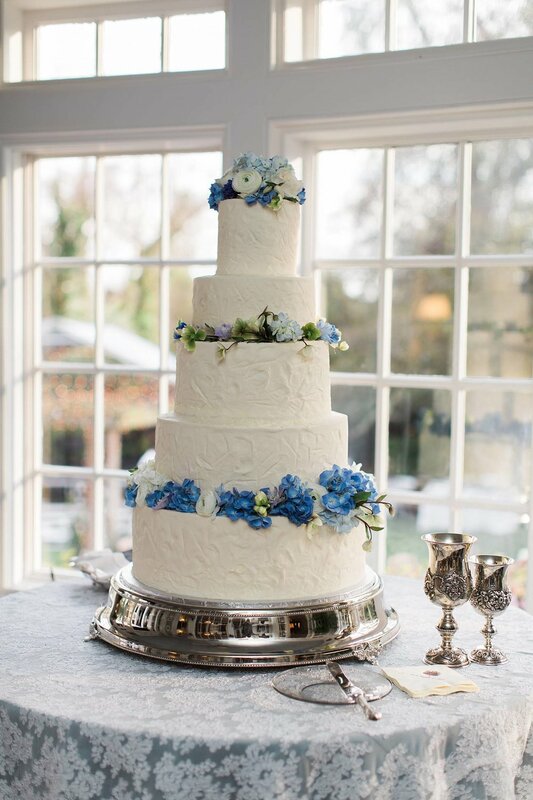 And however huge it may be at the moment, we find that blue and white weddings are classic and timeless. It’s a color combination that has been popular for truly centuries, and we cannot see it going out of vogue any time soon! 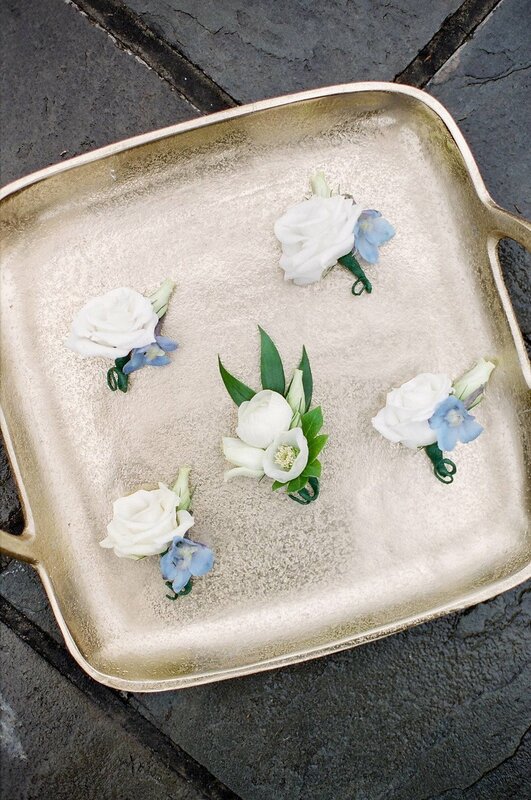 Over the last two years we have had a huge upsurge in clients asking for color (which we love!). 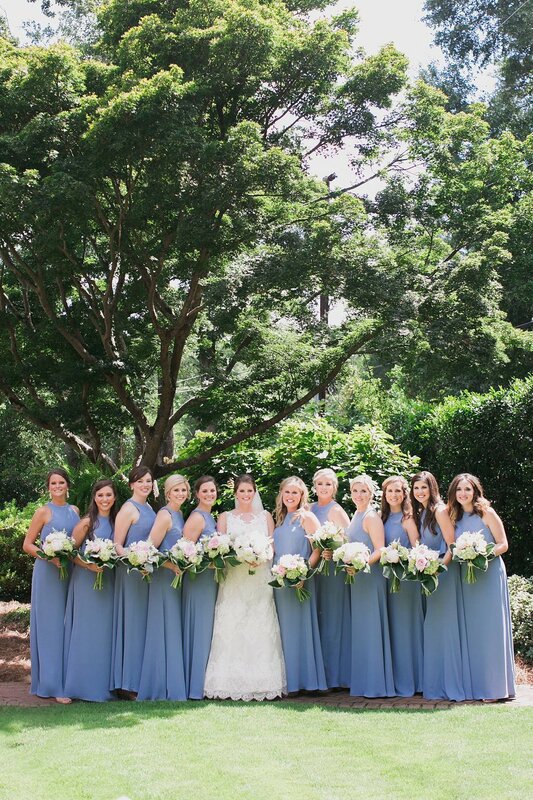 Many brides are also finding themselves drawn to beautiful shades of blue. 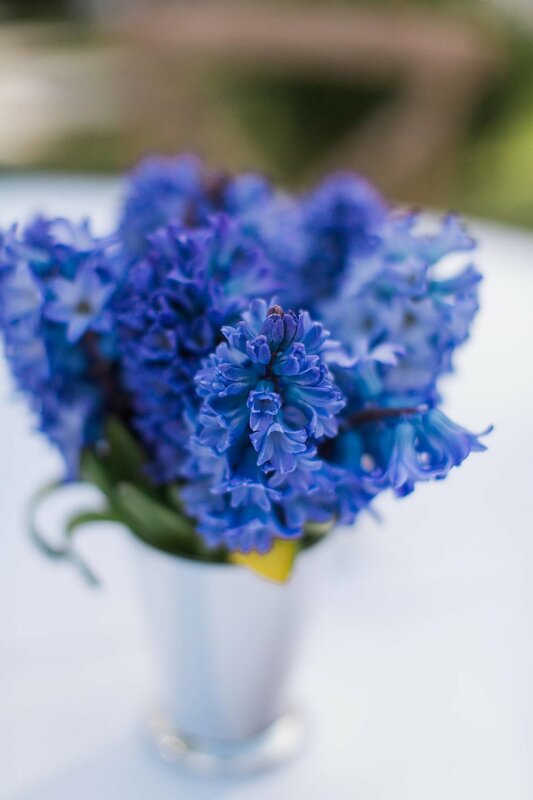 We have incorporated everything from navy, to larkspur, to sky blue, to french blue. We’ll take any version we can! Take a look below at some of the ways we have incorporated this always fresh color palate into some of our wedding and event designs! Incorporated clients’ vessels for a truly personal touch. 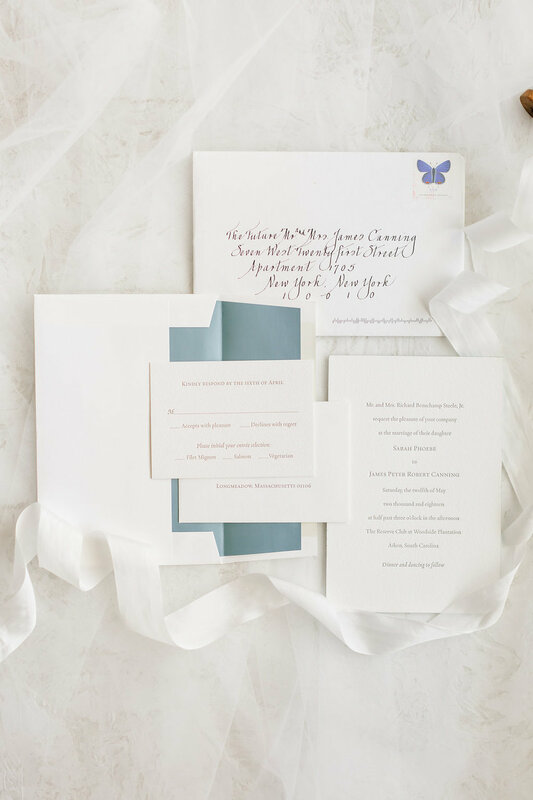 Navy ink for an unexpected twist on a classic Crane Invitation. Crane carried at Charleston Street.